With the help of Koa, we'll build a simple sentiment analysis API which takes a text as input and provides sentiment score as output. 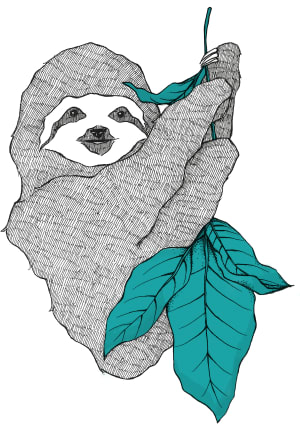 We'll use following NPM packages to build this API. Let's get started building this API. We'll start with a simplest example. First off, we need to install Koa. Create a new directory and we'll run the following to install Koa. First line is importing Koa. In the next line, we initialize the Koa application. app.use(function) is a middleware. This gets called for every request sent to the server. And we are setting the body as "Hello World". Hence on every route, we'll get the response "Hello World". And finally we are listening on port number 3000. It's very easy to create a custom middleware in Koa. In the last section we used app.use(function), this function can be used to create a Koa middleware. Koa middleware flows in a stack like manner, allowing you to perform actions downstream then filter and manipulate the response upstream. Koa middleware are simple functions which return a MiddlewareFunction with signature (ctx, next). When the middleware is run, it must manually invoke next() to run the “downstream” middleware. First middleware gets called, Prints "1"
Second middleware gets called, Prints "3"
Third middleware gets called, Prints "5"
Third middleware sends response back to the Browser "Hello World"
Third continues, Prints "6", and execution goes upwards. Second middleware continues, Prints "4", execution goes upwards. First middleware continues, Prints "2". Koa Middlewares can be used for Logging, Exception Handling, Authentication, and many more things. Here's a list of middlewares from Koa Wiki. Let's move on to building sentiment analysis API. We'll use a Node.js library called sentiment to calculate sentiment scores. This library performs AFINN-based sentiment analysis. It comes with a list of words with its predefined scores. For every sentence, it finds average sentiment scores of all words in the sentiment. It gives the score in the range of -5 to 5, here -5 being most negative and 5 being most positive. We'll start with installing sentiment. Here's score is the sum of sentiment scores of all words, and comparative is the average score. We're interested in comparative score. Let's integrate sentiment analysis with our Koa application. Now we are building the final API. We'll use the following configuration for the API. "error": "Please provide a text to analyze"
That's our Sentiment Analysis API. We'll go through it line by line. First we import necessary libraries and initialize them. We define /analyze route to analyze the text. This route only accepts POST requests. 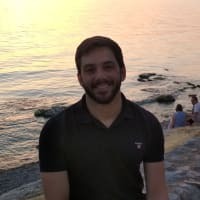 The function in /analyze route tries to get text property from the request. If it's available, send the response to client with score and text. If not, we send back an error. That wraps up our Sentiment Analysis API using Koa.js. 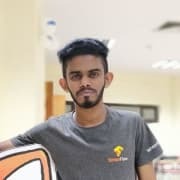 Full code is available on this Github Repo. In Part 2 of Koa Tutorial we'll cover Logging and adding Analytics to our Sentiment Analysis API. A full stack developer sharing his knowledge on web development, machine learning, and creating bots. I'm sorry dude but if you wanted to demonstrate a use case for choosing Koa then you are completely missing the ball. There is absolutely nothing wrong with your examples or the way your post is written but it doesn't tell why Koa. You can do all that you described with a fresh Express. All you did is add more dependencies. In part two of this article that you announced, I would like to read that you understand why we use it in the first place. The post was not about 'Why Koa'. 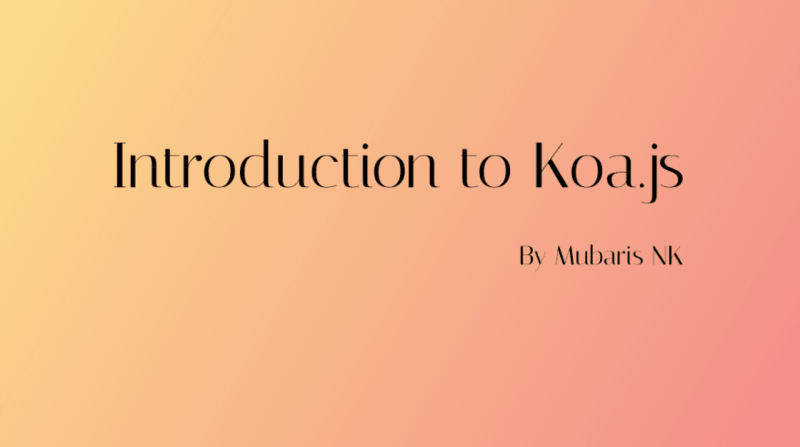 It was an introductory post on how to get started with Koa. This was not supposed to be a rhetorical article. There are thousands of articles on 'Why Koa over Express'. And I do understand it. If you search for 'Why Koa', you're in the wrong place, mate.